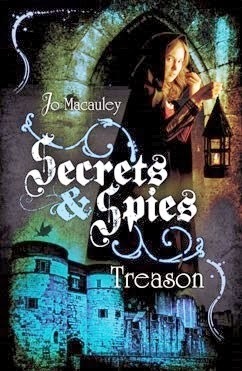 Welcome to Day 9 of the SECRETS, SPIES & SHERLOCK BLOG TOUR, featuring two exciting new middle grade mystery series: Sherlock, Lupin & Me: The Dark Lady by Irene Adler and Secrets & Spies: Treason by Jo Macauley. Each stop on the 2-week tour will feature fun posts and a chance to win a set of finished copies of the books! Today’s post features The Dark Lady by Irene Adler. I have been a Sherlock Holmes fan ever since I was ten years old, and have read several spin-offs that focus on his housekeeper, Mrs. Hudson, or his assistant, Dr. Watson. 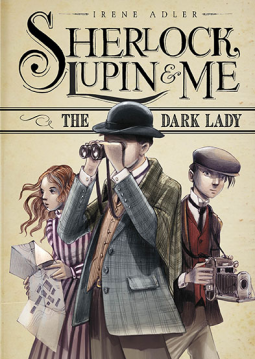 What is interesting about Sherlock, Lupin and Me: The Dark Lady is that we get to meet a very young Sherlock, who is just starting to develop the skills that will serve him so well when he becomes a detective. I greatly enjoyed reading this title and look forward to seeing what Sherlock and his unconventional friends get up to in the next book in the series. The publisher is offering readers the opportunity to win one set of the books: Sherlock, Lupin & Me: The Dark Lady and Secrets & Spies: Treason. All you have to do is send me an email at: editor (at) lookingglassreview (dot) com to be entered in the drawing. U.S. readers only please. You an earn additional opportunities to win books by following Capstone on Facebook. Below is my review of the book. It is summer and Irene Adler is delighted when her father decides that Irene and her mother should spend the summer months at the seaside resort of Saint-Malo. After an uncomfortable six-hour carriage ride from Paris, Irene is eager to explore her new surroundings. Though her mother expects her to help with the unpacking, Irene manages to slip away from her summer home and finds herself near the walls of the town, which is where she meets a tall thin boy who is reading a book. Though he is initially rather rude, the boy, Sherlock, intrigues Irene, and she makes an effort to get to know him. It is soon clear that he is rather unusual, and though he is socially awkward, he is interesting. When Mr. Nelson, the Adler butler, appears on the scene, Sherlock agrees to help Irene “escape” and invites her to meet his friend, Lupin. Not wanting to have to go home to help with the unpacking, Irene happily agrees. Soon she, Sherlock, and Lupin are in a little row boat in the harbor and they are heading for an old deserted mansion called Ashcroft manor, where they have a grand time getting to know one another. Irene has such a wonderful time that she does not care when she is punished that evening, and she doesn’t think twice about joining her two new friends the next morning. They go back to Ashcroft Manor and spend the day there. As they walk home they look down at the beach and see that the body on a person is lying on the sand. Sherlock goes to examine the man and determines that he is dead. The dead man has no form of identification on his person, though Sherlock does find a piece of paper in one of the man’s pockets. The words “The sea will wash away my guilt” are written on the piece of paper, which suggests that the man took his own life. Just then Irene notices that a hooded figure is watching them, and the three young people decide that they had better get away as quickly as possible. The next morning everyone in Saint-Malo is talking about the “castaway” that was found on the beach. No one seems to know who he is, and the three young people start speculating about him. Did he die of natural causes, did he commit suicide, or was he murdered? Who was he? Without really planning out what they are going to do, Irene, Sherlock, and Lupin start trying to find out who the man was and why he ended up dead on the beach in Saint-Malo. After a valuable diamond necklace is stolen from the home of Lady Martigny, even more rumors fly around town. Was the Rooftop Thief responsible and was the theft somehow connected to the dead man? Irene and her new friends cannot resist trying to find the answers to these questions. In this fascinating book readers who enjoy mysteries will meet a young Sherlock Holmes, his one true love Irene Adler, and Arsene Lupin, who later in life becomes a famous “gentleman thief.” It is interesting to see how their first adventure together sets the stage for the lives that they will have as adults. What makes this book special is that it captures the essence of the late 1800’s, when the story is set, taking readers into the past and giving them a memorable reading experience. 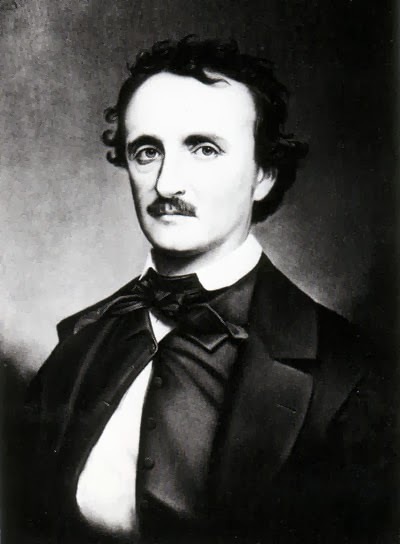 1841 - Edgar Allen Poe’s “The Murders in the Rue Morgue” is generally thought to be the first modern detective story in the English-speaking world. His protagonist, C. Auguste Dupin, created the template of eccentric genius that detective stories are modeled on to this day. In these stories, the main objective is the emotionless pursuit of truth — usually discovered by a mysterious method known only to the brilliant detective, combining observation and logical deduction. “Rue Morgue” is narrated by Dupin’s roommate, a frame narrative that will be familiar to fans of Sherlock Holmes, whose own stories were recorded by his roommate and friend Dr. John Watson. 1853 - Charles Dickens dabbled in detective fiction with one of the (many) subplots in Bleak House, surrounding the murder of a lawyer and a variety of suspects in disguise. Dickens was writing another detective novel, The Mystery of Edwin Drood, when he died – leaving it incomplete. 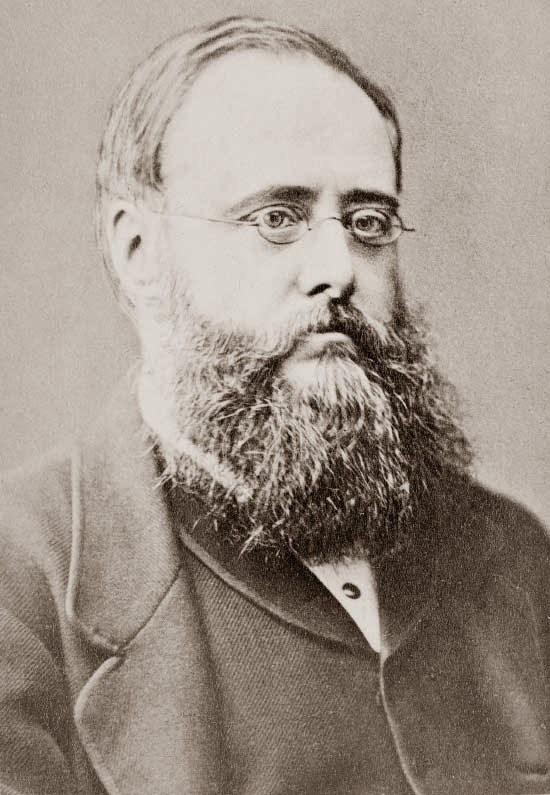 1859 - Wilkie Collins, whom Dickens mentored, is known as “the grandfather of English detective fiction” for The Woman in White, considered the first great mystery novel. T.S. Eliot went so far as to credit the detective genre to Collins instead of Poe for his 1868 novel The Moonstone. The Moonstone featured many details that went on to become staples of the genre: a famous professional sleuth, hapless local police, crime scene reconstruction, red herrings and the final plot twist. 1868 — Émile Gaboriau began developing this tradition in the French-speaking world with Monsieur Lecoq. The titular character is a master of disguise, a trait Sir Arthur Conan Doyle relied upon heavily for Sherlock Holmes, and also became the first fictional detective to meticulously scrutinize the crime scene for clues that others may have missed. 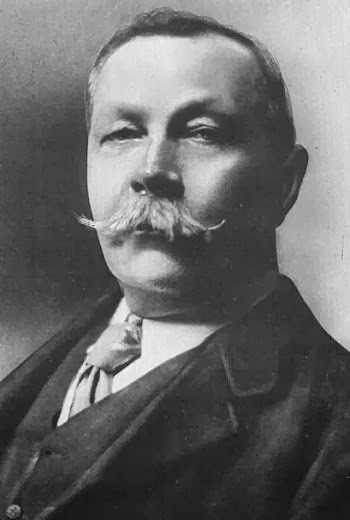 1887 — In “A Study in Scarlet”, Arthur Conan Doyle introduced Sherlock Holmes, drawing on the foundations laid down by the mystery writers before him. Doyle’s consulting detective was influenced by Dupin and Lecoq — uncovering case-breaking clues by noticing minute details, using the art of deduction and even forensic science at a time when the field was just beginning to mature. In fact, Dr. Edmond Locard, who established the first crime lab in 1910, became known as the “Sherlock Holmes of France” for developing the fundamental rule of forensic science: “Every contact leaves a trace.” This principle is the forerunner of the scenes we see in modern police procedurals when detectives scour the crime scene for hair, fingerprints, clothing fibers, and the various traces of DNA criminals inevitably leave behind.